Roe Valley Country Park, 41 Dogleap Road, Limavady, Co. Londonderry, BT49 9NN. 3 Mart Road, Alford, Aberdeenshire, AB33 8BZ. Extensive collection of rural bygones, one of the largest in Scotland. 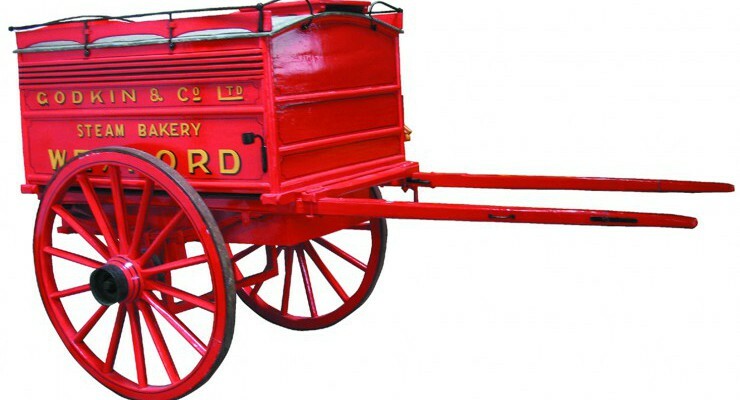 Rural and domestic artefacts, horse-drawn implements and vintage tractors. Godworthy House, High Street, Chard, Somerset, TA20 1QB. Lamport Hall, Lamport, Northamptonshire, NN6 9HD. The museum gives a glimpse into agricultural life in the 19th and 20th centuries. Tractor collection. Woodbridge Walk, Hollesley, Suffolk, IP12 3JR. Inver, Dunbeath, Caithness, KW6 6EH. Murton Park, Murton Lane, York, Yorkshire, YO19 5UF. Lister’s Road , Halifax, Yorkshire, HX3 6XG. Shipston Road, Swalcliffe, Banbury, Oxfordshire, OX15 5DR. Medieval half cruck barn. One of the finest in the country. Houses some of Oxfordshire Museum Services' agricultural and trade vehicles. Shugborough , Milford, Nr Stafford, Staffordshire, ST17 0XB. Lower Gryllis Farm, Treskillard, Redruth, Cornwall, TR16 6LA. Catmos Street, Oakham, Rutland, LE15 6HW. Bouth, Ulverston, Cumbria, LA12 8JA. University of Reading, Redlands Road, Reading, Berkshire, RG1 5EX. Pylands Lane, Bursledon, Nr Southampton, Hampshire, SO31 1BH. Waterperry Gardens, Nr. Wheatley, Oxfordshire, OX33 1JZ. Burton Road, Lincoln, Lincolnshire, LN1 3LY. The National Park, Kenare Road, Killarney, Co. Kerry, IRELAND. Foresters Hall, Pike Street, Liskeard, Cornwall, PL14 3JE. Johnstown Castle Estate, Johnstown, Co. Wexford, IRELAND. Tel: 00 353 53 918 4671. Horam, Heathfield, East Sussex, TN21 0JB. Greenfield Road, Greenfield, Nr Holywell, Flintshire/Sir Fflint, CH8 7GH. Dairyland Farm World, Tresillian Barton, Summercourt, Nr Newquay, Cornwall, TR8 5AA. Displays of Cornish rural heritage from the 1800s onwards, also there is a good display of tractors and engines in the Old Timers Tractor House.